These are the pictures of process of burn victim patient with 375 degree hot olive oil on her wrist area of right arm. 10-15-12: 6th time visit -- finished without scar.. I initially came to Dr. Kim with neck, shoulder and hand pain. After my first acupuncture treatment, I began to have improved movement and diminished pain. I continued visits and began to feel great. The evening before my 4th visit, I had a kitchen accident and severely burned my arm with 375 degree oil, resulting in large blisters. I arrived at Dr. Kim’s office for my regular treatment and showed him my burn. He immediately went to work on it. After only 4 treatments in less than 10 days the burn was completely healed, with no scarring. I have had absolutely amazing results. I highly recommend Dr. Kim and Kim’s Yin and Yang acupuncture. Ladies!!! Hi I’m 37 yrs old and have suffered from severe menstrual cramps since the age of 12. I was diagnosed with endometriosis as a teenager and put on birth control pills to reduce the cramping. I’ve had laparoscopic surgeries for the endometriosis. Nothing. I repeat, nothing has helped me with these severe cramps. I thought early on as a teenager - that the rest of my life I would be in severe pain (limiting my daily activities) for several days a month for my entire life. After just three weeks of treatment with Dr. Kim - I am cramp free. I don’t have to start taking anti-inflammatories such as Aleve the day before my period. As a matter of fact I don’t even need to take on dose throughout my entire cycle. Dr. Kim has helped my “time of the month” to be pain-free. He has alleviated a problem that western medicine could not. He is truly a miracle worker. Thanks, Dr. Kim. I am so happy to have found Dr. Kim. 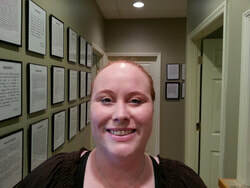 I am not new to acupuncture but I am new to Bluffton, SC. I was concerned if I would be able to find a practitioner I would be happy with. My community has a Facebook Page and I found glowing testimonials about Dr. Kim so I made an appointment. I first went to Dr. Kim in Feb. to make sure I would not have a problem with seasonal allergies, especially during the pollen season here. Well, not only did Dr. Kim successfully treat me for that but I found myself telling him about other issues I was having such as sinus headaches, vertigo and hip pain. He has been able to improve all. I must say I was most surprised about the elimination of my hip pain. I was having a problem walking up stairs, each step causing a sharp burning sensation in my hip. Well after a few months of weekly sessions I could not believe the difference. Dr. Kim had recommended Moxibustion in addition to needles to bring faster relief. I was hesitant to try Moxibustion but as I grew more comfortable with Dr. Kim I asked him to add that to my treatment. I am so glad that I did!! The other day I had to climb numerous steps while sightseeing at a museum in Savannah. To my great surprise there was absolutely no hip pain. I could not believe it. Thank you Dr. Kim for everything. I was ready to consider surgery before coming to see you as a last resort. I have now had over 15 treatments with you and you have given me back my life! No surgery for me. I am back to swimming for 45 min. 4 times per week and weight lifting twice a week. I can’t walk very far yet and my balance is still a problem, but I know you will work on that also. Thank you! Thank you! Thank you! You are my miracle man and Vera is your helper. At my doctors suggestion I worked with 2 physical therapists with absolutely no relief. Steroid shots in my back failed. Finally I was operated on by a well respected neurosurgeon, who unfortunately was unable to help. He not only operated on me, but also unsuccessfully tried to implant a pain relief simulator in my back. As a last resort I turned to opiates under the care of a pain specialist.. They worked somewhat. But they did not provide complete relief or steady relief. I also found myself requiring more and more medication to get the same results. As a last resort, I turned to Dr. Kim. Dr. Kim was honest with me and told me that the longer a patient has had a problem, the longer it takes to correct the problem. I understood and continued with Dr. Kim. After 5 or 6 sessions I noticed I was going for longer periods without the opiates. Gradually I realized I was experiencing relief from the pain that had racked my body for thirty years. Now after about 20 sessions my back pain is almost totally gone. Having received this level of pain relief, I am only having to see Dr. Kim about once every 2 weeks. From what he tells me, soon I will only have to see him about once a month. Dr. Kim has given me my life back. Instead of coming to him after all else failed, I wish I had gone to him before I tried any of the other remedies. I have now cut down my use of prescribed opiates by about 40% and I'm working as advised by my doctor to slowly eliminate them altogether. Thank you Dr. Kim. My name is Heinz Willner, 85 years old. I have been a patient of Kim’s Yin & Yang Acupuncture for a number of years. I have been very satisfied with my results. Dr. Kim has treated various ailments ranging from vertigo to abdominal problems. Acupuncture treatment has helped with to relieve the pain and discomfort of all my ailments. I highly recommend Dr. Kim . Struggling with anxiety, depression and sleepless nights for 4 years haven't been easy. I quickly look for help once the symptoms started. My family Doctor told me that those things run in my family and prescribe me a drug call CLONAZEPAM and it actually worked, it help me calm down and sleep at nights. As the years went by I started having trouble with lots of aches and pains like acid reflux, IBS, and general discomfort. Tired of the situation and not been able to feel like my self for years I started seeking for other options. Thats when my journey to alternative medicine began. Started taking herbs form an Herbologist, went to the Chiropractor, took natural supplements from an Holistic GY/OB, this last one run lots of blood tests and diagnose adrenal fatigue, hormonal imbalance and other issues caused by anxiety. All this process lasted for about 8 months and still no results. At least I already knew what was I dealing with. Finally a neighbor introduce me to Dr. Kwan Joong Kim Acupuncture and there is when healing actually began. I met him in June 2017 since the first appointment he was really committed to help me. He also explain me very clearly what and how does acupuncture work. And as of today September 2017 I can say I feel great again, all the aches and pains are gone!! All dose weird feelings of anxiety and depression are far gone, Clonazepan is almost gone! Along the way he treated successfully a sore throat, knee pain, sun spots on my face, you name it, he treats and fix it. Acupuncture really works for everything! I love Dr. Kim and wish I could take him with me wherever I go. That's how amazing he is. PS. Each session of acupuncture with Dr. Kim is really relaxing. Feels like going to the spa! I have been suffering for several years with IBS and mild Crohn’s disease. I decided to try alternative treatments, because I do not like the side effects of taking traditional medication. I have been receiving acupuncture and moxibustion treatments from Dr. Kim for several months now. I also changed my diet at Dr. Kim’s request. I am happy to say that my blood work came back negative for inflammation, and I am feeling much better. not only has Dr. Kim helped me with my problems, I also sleep better, and no longer suffer from acid reflux. I would highly recommend Dr. Kim. He is truly a caring, sensitive, and professional clinician. ​ Dr. Kim is an acupuncture practitioner. His mastery of this ancient art gradually reduces pain/discomfort that may have worked its way into various parts of the body over time, chronic maladies as well as those more acute in nature. he is professional, respectful and gentle as he skillfully introduces his needles and moxibustion treatment to or near a pain source. To the uninitiated his knowledge is a bit of a mystery; but, his efforts have brought this patient considerable relief of back, knee, hands, feet and head discomfort in addition to residual pain at several prior surgery sites. Thank you for the effort with Humana/Medicare, I had my doubts but I appreciate your trying. Attached is a PDF file of Susan’s driver’s license and the back of her insurance card. Now onto the important thing; tell Dr. Kim that I have had probably two or three spasms maximum of a much milder intensity than before his fantastic deployment of Yin & Yang, as he explained it. I have followed his instructions of not stopping the Gabapentin, but I have not been this free of the excruciating needle like pains occurring as often as once every three minutes since April 16, 2016…Gabapentin or no Gabapentin. He is my ‘BFF’ and my guide for life through the intricacies and mysteries of Oriental Medicine. I have to add, Susan is singing his praises to every one of her friends, the healthy athletic ones and the not so athletic ones. I believe you will be hearing from several of them. Obviously her back pain is a shadow of what it was when she walked into your offices Tuesday. Please check with him as to when I should schedule the next treatment and let me know. See you soon and if you have any questions or need anything more, let us know. I want to thank Dr. Kim for helping me. I'm 77 years old and I had a problem with my prostate which had me getting up often at night to go to the bathroom. I was on medication and then the doctors suggested surgery, but after 4 or 5 visits to Dr. Kim I no longer need either. I can sleep well at night finally. I would highly recommend Dr. Kim to anyone with a problem similar to mine. Thank you Dr. Kim! I have suffered from excruciating shock like, sporadic pain centered in my upper and lower jaw area as a affect of Trigeminal neuralgia (TN). Since June of 2006 I have been treated with prescription drugs with limited success and with certain negative side affects. Surgery was offered with no guarantees! The intensity of pain can be physically and mentally incapacitating. On relocating to the Bluffton area in 2014 accupunture was recommended, and I sought out and put my care in the hands of Dr. Kim. After a few treatments I began to experience relief from TN and now am completely pain free. Dr. Kim is a very sensitive, kind and professional. He's exceptionally dedicated to healing. I'm delighted to have found him and recommend him with out reservation. I was 36 weeks pregnant and my baby still in breech. My doctor was about to insist I go in for a version to turn the baby. A friend of mine, who is a nurse practitioner, suggested I try acupuncture. A manual version carried risk to myself and the baby and was a painful drug filled procedure besides. After 2 sessions with Dr. Kim I returned to my OB-GYN at 37 weeks and to everyone’s surprise the baby had turned! I highly recommend Dr. Kim! For 20 years plus I have been in and out of lower back pain. I have been through physical therapy, cortisone shots, chiropractor therapy, Recently I had another episode that has lasted over 7 months. Could not sleep, walk, sit, play golf etc. without pain. I tried it all again to relieve the pain, no results. A friend suggested acupuncture and Doctor Kim ( he is a golfer, treated by Doctor Kim -great results, he is playing again). After 6 visits with Doctor Kim I am almost pain free, feeling great, able to do things I only thought of 7 months ago. Looking forward to continued recovery with Doctor Kim! Hi Dr Kim, Thank you for all you've done to help me along my path to excellent health. I'm happy to share my testimonial below. It's troubling to imagine the condition I'd be in today if I hadn't found Dr. Kim's Yin & Yang Acupuncture. I've had many years of experience with acupuncture treatments by very skilled Oriental Doctors and I've found Dr. Kim to be the best! I first came to Dr. Kim seeking relief from a neck injury. It had been bothering me for weeks and I couldn't find a position that would give me relief from the pain. Sleeping was impossible. On my first visit, while Dr. Kim was treating my neck, I happened to mention an old shoulder injury which prevented me from lifting my arm completely. He treated my shoulder at the same visit. When I returned for treatment the following week, my shoulder was completely pain free and I could move my arm without restriction! My neck was noticeably improving and I was able to sleep at night. After a couple more treatments, my neck felt great! No more pain. On a follow up visit, I showed Dr. Kim my arthritic finger which was very painful, red and filled with heat. He treated my finger and by the following week, all pain and heat were gone. It has remained comfortable and no longer bothers me. I've become an ongoing patient of Dr. Kim's, learning the many ways acupuncture can help me stay healthier and pain free. Dr. Kim is a very sensitive, kind professional. He's exceptionally dedicated to healing and has an enjoyable sense of humor too! I'm delighted to have found him. I had been suffering with a pinched nerve which caused me shoulder pain that radiated down my arm into my elbow and wrist. The pain was severe. After talking to a friend of mine who is one of Dr. Kim's patients, I decided to give the acupuncture a try. Needless to say I was a little bit nervous but Dr Kim explained everything and he was very kind and helpful. He used a combination of treatments and after the 2nd treatment I no longer have any pain. I definitely plan to continue using Dr Kim to maintain my health. I have been suffering with herniated discs for several years. I've taken medication and had spinal steroid injections which have brought some relief - except to C2. After only two treatments I have had immense relief from my pain. Dr. Kim is kind and gentle. I plan to continue seeing him for any health issues and once a month to be proactive with my health. I am so glad someone recommended that I give him a try to relieve my pain! Dr. Kim, I feel, is a skilled acupuncturist. My sinusitis problem brought me to him after trying traditional medicine that didn’t give me results. After a few sessions, I felt very confident with his expertise and with him personally. I follow his regimen and I am now able to breathe freely after years of discomfort. I am confident that others with a similar condition would get the relief I enjoy. listening to my concerns and offering beneficial guidance. welcoming atmosphere. Thank you Dr. Kim for all of your help. for 20+ years, but the pain became intense one year ago. the recommended surgery when someone suggested acupuncture. completely foreign and somewhat frightening experience. is better than feeling good and living without pain. I am 81 years old. When I came to Kim's Yin & Yang Acupuncture I had been completely impotent for over 5 years. I was in a relationship with a friend who was aware of acupuncture treatment. By her influence, I checked with my insurance company and I found Dr. Kim and Kim's Yin & Yang acupuncture. After taking the treatments for a short period, I found the results incredible to believe. If I were to meet a friend with a like problem, I would highly recommend Dr. Kim and Kim’s Yin & Yang acupucture to them. Thank you for giving me the ability to control my drinking problem. I had been drinking 2 bottles of wine every night for 5 years. I came to Dr. Kim in July 2013. With his advice, support, and acupuncture in 2 months I could control my drinking. He has changed my life. I no longer drink my night away. My mind and body feel better and function better. Your slow and steady healing process has given me my life and health back. Thank you Thank you so much! from fibromyalgia and exercising, and he has ameliorated it. thankful he is a part of my health care! Hi Dr. Kim Here's what I wrote about you. Please use it in any way you like.I had given up on acupuncture, but I was convinced to give it one more try because I heard that Dr. Kim is amazing. I have had pain and muscle spasms in my legs for about 30 years and there are no doctors or chiropractors (or acupuncturists) who have ever been able to give me any relief and all the western doctors wanted to do is prescribe pain and anti-inflammatory meds, which I will not take. I also began losing range of motion to the point that I could not cross my legs and my legs will not rotate outward at the hip more than about 1/10th of normal range. I also could not walk for more than 15 minutes without pain. Bending down to get something on the floor or in a low cabinet was slow torture. After 2 visits to Dr. Kim my range of motion improved drastically and my pain and tightness in my muscles decreased significantly. Another benefit has been a huge drop in blood pressure. Mine was dangerously high and my doctor was pushing me to start taking medication, but I kept insisting that I would lose a few pounds, cut back on salt or find another way to bring my pressure down, but no matter what I tried, my blood pressure remained around 190/90. I never mentioned my blood pressure to Dr. Kim, but have long suspected that my chronic pain had something to do with it. Last week I went for my annual physical and cringed when I asked the nurse what my blood pressure was, but she smiled and told me, "It's great! 121/64." I was shocked! I can only attribute the drop in BP to Dr. Kim's treatments. After my 3rd visit I went to the NC mountains with my family. We went to the state park at Mt. Mitchell. Normally, I have trouble walking for even a few minutes and if I try to walk at an angle (stairs, mountains) it really hurts, but when everyone goes hiking (which I used to love) I join the group even though it means I'm pretty miserable during and after. But this time was different. I WAS ABLE TO HIKE IN THE MOUNTAINS FOR ABOUT 3 HOURS WITH NO PAIN AND I HAD NO TROUBLE KEEPING UP! Now that's AMAZING! Dr. Kim's mother and grandfather were acupuncturists and he trained under the master of acupuncture in Korea. I had my 4th visit yesterday and I feel terrific! I wish I had known about Dr. Kim a long, long time ago. I found Dr. Kim and Kim's yin & yang acupuncture thru pure luck. My wife and I were exploring Bluffton and she saw the sign for Dr. kim's practice. I had considered trying acupuncture, but living in northern New Hampshire. I did not have access. Being 73 years old, I had attributed my ailments to aging and accepted the increasingly unpleasant pressure in my back and hips. My quality of life was diminishing. Since my treatments began, I see improvement in my ability to walk and be on my feet for longer periods of time. A tingling in my hands and sometimes loss of feeling in my right leg are gone. I have more energy and have made life style changes to assist the acupuncture process such as regular exercising and eating a healthy diet. The lack of side effects is a very positive aspect of acupuncture. Dr. Kim is very caring and pleasant to work with. The day I found him was lucky for me in many ways. everyone, but it sure helped me. I’d try it. Yes, it is successful !. I came because the office was close to home. I found Dr. Kim to be very kind and above all caring. He is very thorough and does his best to make you comfortable. The session is usually 45 minutes. He uses various methods, depending on your needs. It is a quiet and comforting experience. I have been greatly helped by the treatments for my arthritis. I would recommend Dr. Kim. I am so glad that I found Dr. kim. If I hadn't - I wouldn't have a joy. I work in a restaurant and am on my feet four to five hours per day. When I wake up one morning with a pain in my foot. I knew that it needed to be tended to quickly. I had no time to undergo remedies that take too long to work. I needed acupuncture ! Dr. kim did his " magic" with acupuncture treatments and I was walking without pain in just a few treatments. I still come to see him for maintenance every 4 weeks or so. I have not slept or felt so good in a long time. We are lucky that he's here- in our town. Prior to acupuncture, I had spinal fusion due to a severely pinched sciatic nerve which left me with numbness in my left leg and drop foot. After several visits, I was able to lift my foot and had relief in the numbness in my leg and I was able to walk without cane. At another time I had a pinched nerve in my neck which prevented me from straightening my right arm without having pain and burning. Again, after several visits to Dr. kim - no pain and I am able to totally straighten my arm without pain. I would highly recommend acupuncture as a means of treating many conditions. For the past 2 years I have taken my wife to Dr. Kim to be treated for her back, leg and foot, but resisted becoming a patient. In June, 2012, I developed gout in my right foot while traveling up north and needed a cane in order to walk. Having severe pain, I knew it was time to give Dr. Kim a try. Well, to my amazement, he helped eliminate my pain after only 2 visits. I am now a believer and will continue my maintenance treatments. Thank you, Dr. Kim. Dr. Kim is trained in an acupuncture technique that has been very effective for me. I want to say that my first three acupuncture treatments have significantly healed constant neck and back pain that I have had for years. Although movement therapy and chiropractics helped me previously, nothing has reduced the pain more than acupuncture. I have recommended it to several friends that have constant neck and back pain. One of my friends that went to my acupuncturist has been very please with the reduction of her neck/back pain.My pain levels have steadily decreased. It has taken time, but he has played a big role in my healing. In addition, he is a special person with great energy. Bluffton is lucky to have him. What a positive life force! I felt confident that my health issues were in safe hands... and I left there feeling refreshed and optimistic. He is a humble and kind hearted man who truly wants to help people. I will surely recommend him highly and I will be returning for ongoing care. My health issues showed improvement immediately. I couldn't believe how great their office looked. It was very obvious that they took pride in the office's appearance. It was one of the best looking offices I've ever seen. I love how much attention to detail they show at this clinic. They are always so careful and meticulous. I never have to worry about them making a mistake or forgetting something which really puts my mind at ease. I will absolutely return. I had an amazing experience, and they were by far the best I've ever seen. Not only do my appointments never get canceled last minute, they take time out of their day to send me a reminder so I don't forget. They are extremely reliable. Whatever cologne they were wearing was one of the best I've ever smelled. It made my experience that much more enjoyable. This is a testimonial about acupuncture. Back in March of 2010 I had a nasty fall resulting in major back pain. I went to the doctor only to receive pain medication. 6 wks later, still having pain went back to the doctor in which he told me I needed physical therapy. Physical Therapy didn't work, here it is October and still in pain. I found Dr. Kim and made an appointment. By this time I was still skeptic about the acupuncture but was willing to try anything to get my back under control. I went to my appointment today not knowing what to expect. But let me tell you first hand that when the visit was over, I got up and felt like a new person. Not the first bit of pain! It was amazing. I could not be happier. I have made another appointment to work on some other issues I have with my body! Also just to let everyone out there know, the procedure is painless. My mother suffered for years with terrible headaches. To the point she would vomit around the clock for 24 hrs before it would ease up. My sister and I would have to take her to the emergency room they would drug her up and send her home. We went to doctor after doctor trying to find out what was wrong with her. They would say its just a migraine. Well after about 3 years they figured out it was muscle spasms in her neck. Doing acupuncture in those muscles in her neck finally relieved her pain. I came to Dr. kim last year for problems with sleep. He has helped me enormously since I used to wake up every night between 1:00 - 3:30 a. m. . Now I sleep until at least 4:30 a.m. And most time, when I wake up, I am able to go back to sleep. He has also helped me with colds, on flu by stimulation my own immune system. He has also helped me with gout. I have been to other acupuncturist, but I believe he is more effective through the use of moxibustion. I have been going to Dr. kim off and on for the past year. I went for hip pain and insomnia. He has helped me with both. The hip pain has gone away completely. I am now able to fall asleep on my own and sleep well during the night. He has helped me tremendously with acupuncture.